In that case the Greeks should throw all Mohammedans out who settled amongst them, waiting to cut their throats…. 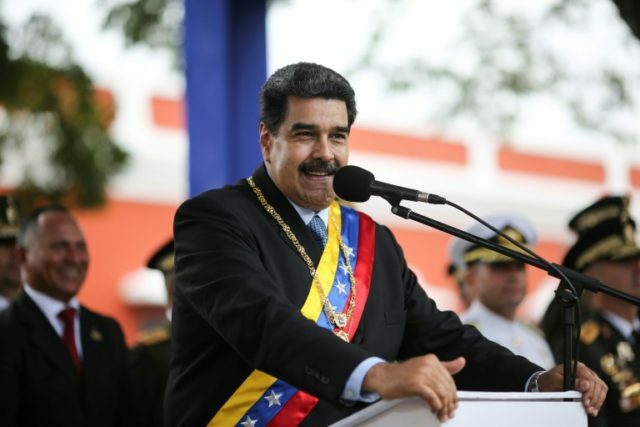 Caracas (AFP) – President Nicolas Maduro hit out at the United States on Friday for “stealing” billions of dollars and offering “crumbs” in return as humanitarian aid, as Washington sanctioned five officials close to the Venezuelan leader.Tons of US aid is piling up in Colombia close to the border with Venezuela as opposition leader Juan Guaido has vowed to defy Maduro’s efforts to block the supplies from entering the country. Because “death to America” means we love you madly…. Funny that. But if you go on the internet declaring Islam a dangerous religion and every Mohammedan a potential terrorist, the courts have all the evidence they need to put in in jail. Works like a charm. A British jihadi bride allowed to return to the UK after joining Islamic State (IS) has escaped prosecution – despite being told by a judge she is too dangerous to raise her daughter. Described in court documents seen by The Mail on Sunday as an extremist who lied about her views, the woman spent two years living with her husband at the heart of the terror group’s so-called caliphate in Syria. But this newspaper can reveal she is now at large in East London where it is understood she has been given a council flat at taxpayers’ expense. She remains at liberty because anti-terror police failed to find enough evidence for a prosecution. Yet during a High Court custody battle, the woman was told she posed a serious threat to her child, who is now living with her grandmother. The judge at the hearing said the toddler was at ‘risk of significant harm from the mother’s extremist ideology’. Astonishingly, the woman’s Twitter account still carries a banner picture of a crowd of women raising black IS flags. 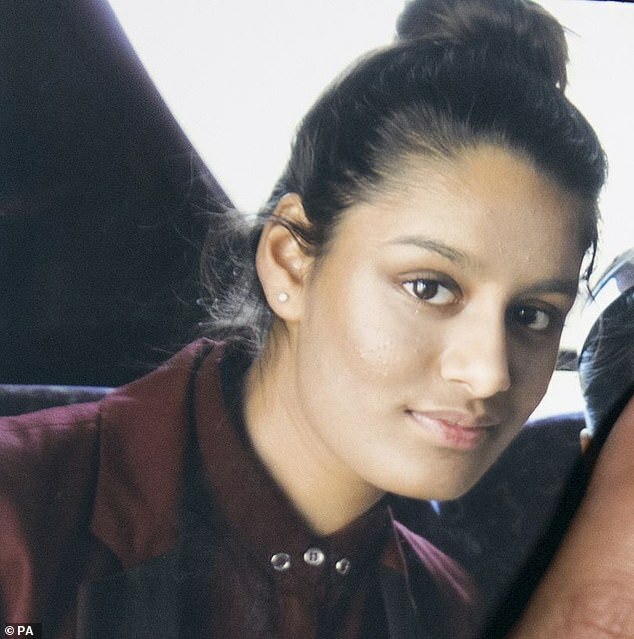 Her case bears remarkable similarities to that of pregnant teenager Shamima Begum who is begging to come home despite having ‘no regrets’ about her four years with IS. Like Begum, the woman, who is in her 20s and cannot be named for legal reasons, has expressed no remorse for her actions. She is desperate, however, to raise her two-year-old daughter in Britain. On arrival back in the UK in 2017, she was immediately arrested on suspicion of terrorist offences. Weeks later she was told the case had been dropped. The Counter-Terrorism and Border Security Act makes it an offence punishable by up to ten years in jail for anyone to enter a ‘designated area’ abroad unless they can provide a ‘reasonable excuse’. But it has only recently become law and it cannot be applied retrospectively to the woman. The sentence for being a member of IS, or supporting the group, is up to ten years in jail. 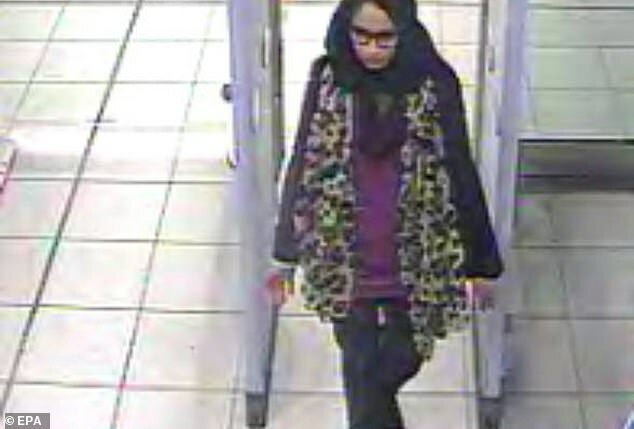 What threat will a heavily pregnant ISIS schoolgirl be to Britain? The woman’s British husband, a Muslim convert who was born a Christian, is being held by authorities in Turkey and is apparently awaiting trial. At the High Court hearing, Mrs Justice Gwynneth Knowles called the woman’s views ‘very troubling indeed’. Ruling that her toddler should be raised by her non-Muslim grandmother, the judge said she feared the mother would radicalise her daughter and take her to an ‘unsafe location’. l Home Secretary Sajid Javid’s pledge to block Begum’s return was undermined by the head of MI6 who said British citizens ‘have a right to come to the UK’. 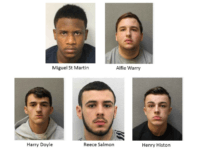 According to the judge, the mother was once a happy ‘sociable girl’ who enjoyed sport and going to the cinema with friends. She later worked in a clothes shop and briefly as a receptionist. But she then grew increasingly religious and ‘isolated’ before marrying her husband in secret within a week of meeting him. Days later they slipped out of Britain on an easyJet flight from Gatwick. For the journey, the couple swapped Islamic clothes for Western attire, with the woman abandoning her veil and the man shaving his beard. The couple spent eight months in Raqqa, the Syrian city that was once the terror group’s de facto capital. Then they moved to a border town, where in 2016 they had their baby daughter, identified as J in court documents. In early 2017, with the rout of IS forces under way, the couple left for Turkey and surrendered themselves to the authorities. The father was charged with terrorism-related offences, but the mother was allowed to return to the UK where her daughter was put in foster care. During the court hearings, the judge said the woman’s evidence was ‘inadequate and dishonest’. She said: ‘The mother’s Twitter banner was a picture of a number of females several of whom were carrying the IS-associated black flag with its white seal. The court also heard that in 2014 her husband was already talking of martyrdom and was planning to fight in Syria. He told a friend on social media he was ‘not planning on getting old’. Last night, it emerged that Tower Hamlets Council is already making urgent ‘contingency plans’ to prepare for 19-year-old Shamima Begum’s return to the UK. It will have to provide the necessary care to Begum as she is a native of the borough. The MoS understands that part of the contingency plans include deciding whether to provide the young mother with any kind of accommodation once she arrives. Last night, the Foreign Office said that Begum, who married a Dutch jihadi called Yago Riedijk, 27, in Syria, has not been provided with any consular assistance as Syria was too dangerous for its diplomats to visit. The Home Office declined to comment on the Begum case. Meanwhile, Begum’s relatives claimed Mr Javid was ‘pandering’ to the public by vowing to block her return. Her brother-in-law Mohammed Rahman, 36, said: ‘He is reacting to his personal emotions and what he thinks the public wants. Brilliant. That’s an inadvertent admission that the religion causes ‘radicalisation’. Concousion: the cops are as much traitors as she is.